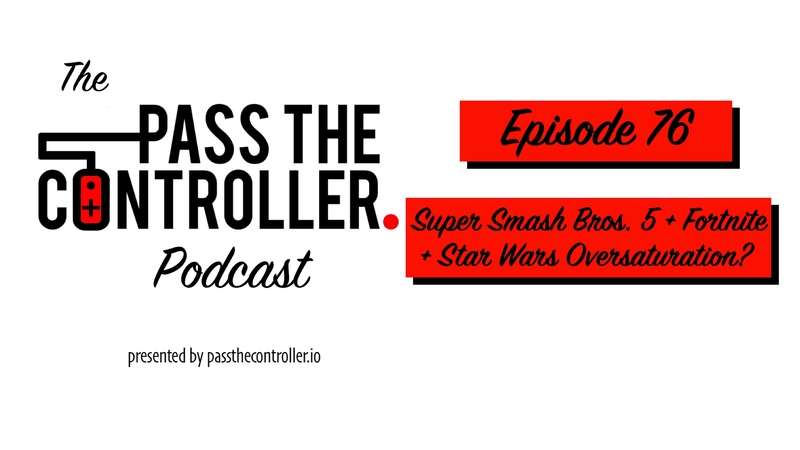 Episode 76 of the Pass The Controller Podcast is now available on iTunes, SoundCloud, and most major podcast platforms. Listen in as Brenden and Mike sit down and chat about all of the announcements in this week’s Nintendo Direct, their thoughts on Super Smash Bros. 5 and why it’s not 4, Fortnite’s cross-play and cross progression announcement, as well as debating if Star Wars is becoming oversaturated. Next 77: Robbie “Gwobs” Benson of the Super Soul Bros.